Suitable for men and women alike, this delicious vanilla cream flavoured shake is ideal as a substitute for one of your meals at any time of the day. Just enough carbohydrates are used to fuel your workout and replenish depleted glycogen. Whey protein blend (Milk) (Whey protein concentrate (Milk), Whey protein isolate(Milk)), Soy protein isolate, Calcium caseinate (Milk), Micellar casein (Milk), Maltodextrin, Fructose, Polydextrose, Fructoligosaccharides, Stabiliser: Cellulose gum, Flavourant, Anti-caking agent, Calcium phosphate, Sodium chloride, Magnesium oxide, MCT oil, Vitamin premix, Potassium chloride, Non-nutritive sweetener: Sulcralose, ZymatechTM Lactazyme Blend, Colourant: E124, Chromium picolinate. 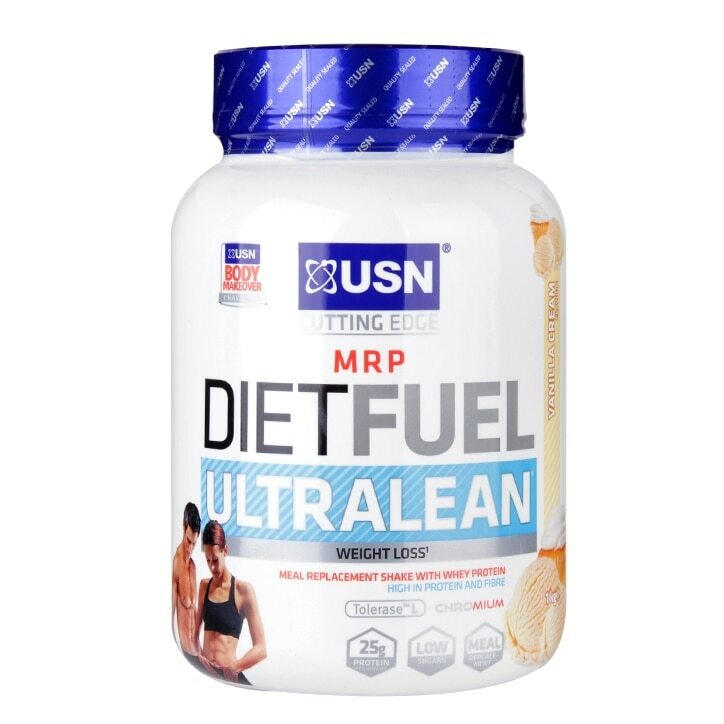 USN Diet Fuel Powder Vanilla Cream is rated 4.7 out of 5 by 69.